GM launches Canadian Maven pilot project in Kitchener-Waterloo, Ont. The Maven program is a keyless service, where members access and start a Maven vehicle with only their smartphone. 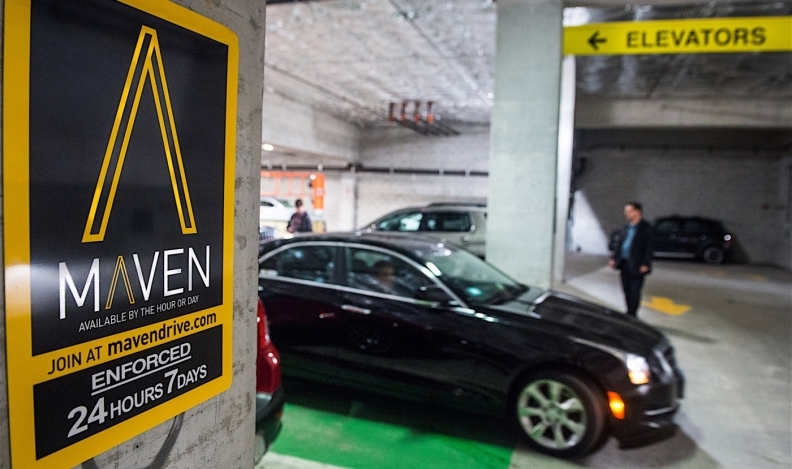 General Motors launched a pilot program of its Maven vehicle-sharing service Thursday in Kitchener-Waterloo, Ont. General Motors launched “an innovation research zone” in partnership with Communitech, an industry-led group that supports technology entrepreneurs, in November 2015. Its focus is urban mobility, car sharing and mobile app innovation. The Maven program is a keyless service, where members access and start a Maven vehicle with only their smartphone. Registered members for the pilot program will use the Maven app to reserve one of five vehicles parked near the Communitech Hub, at the corner of Charles and Francis Streets. The automaker has agreed to lease the spaces from the city for a year. Maven members at Communitech can use the car sharing program and reserve Chevrolet, Buick and GMC vehicles for hourly or daily rates, starting from $7 per hour or $63 per day. Fuel and insurance costs are included, and there are no application or membership fees. A gas card is provided, and users are asked to return the vehicle with at least one quarter tank of fuel to avoid an additional charge. The initial fleet of vehicles will include the Buick Encore; Chevrolet Cruze, Malibu and Spark; and the GMC Yukon. All of the vehicles are fully equipped, with OnStar 4G LTE with a WiFi hotspot, Apple CarPlay and Android Auto integration, active and passive safety technology, heated seats and heated steering wheel, and remote start to allow the vehicle to be heated or cooled up to eight minutes before the start of a reservation. “This is just the beginning. We are a mobility company, and we will continue to deliver innovative services to help Canadians get there – wherever ‘there’ is – smarter," said Hossein Hassani, head of Maven Canada. In 11 months, Maven has launched a company, brand and three products: Maven City, Maven Home and Express Drive and expanded to 16 U.S. cities. More than 19,000 members have joined Maven and travelled more than 86 million kilometres, according to GM. The automaker has also invested US$500 million in ride-sharing service provider Lyft Inc.